Only a week to go before our next medical trip to Marigot, Haiti! A team of volunteers got together on October 21 to separate and pack the medicine that will be used in the clinic. This year, we have pre-packed doses for common diagnoses to streamline the in-country pharmacy operations. This should allow us to see even more patients per day. All of this wouldn't be possible without the the amazing community of volunteers, board members and contributors that support the Heart of Medicine. 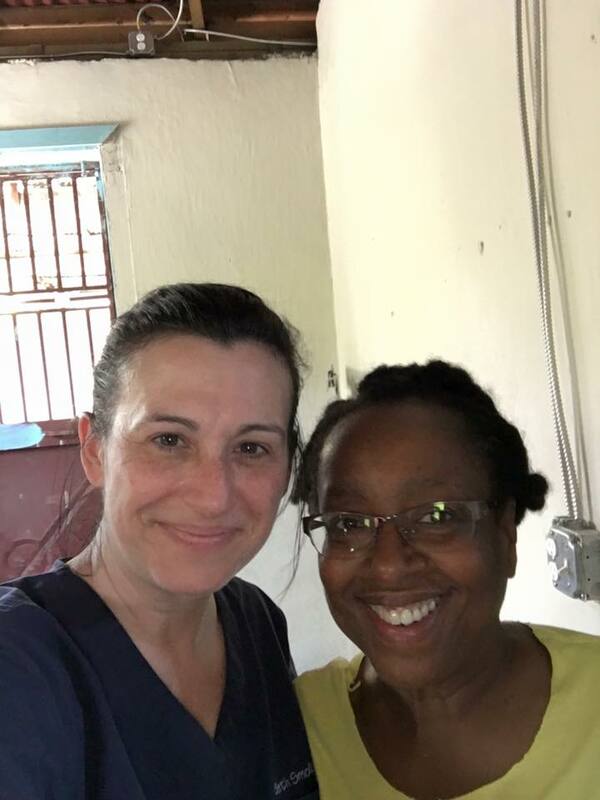 Thank you so much for your generous donations of time, money and supplies to help us bring primary care to the underserved communities in Haiti! In addition to medicine and supplies, we will also be bringing along coloring books, crayons and toothbrushes this year. A local girl scout troop organized a neighborhood drive to collect these items, which will bring smiles to the faces of the dozens of children that we will see next week in Marigot. Here are a few photos of the volunteers hard at work this weekend. Please check back next week to see pictures and read stories about our activities at the clinic. Randy, an emergency medicine PA and firefighter, managed to scrape together enough materials to suture a laceration on a boy's face right next to his left eye. It's a miracle the boy didn't damage or lose his eye entirely. The boy wouldn't give a lot of history but said he "got caught on a fence". The top of walls surrounding gated homes are covered in razor wire and glass shards. Throughout the procedure the boy held still and didn't utter a peep. He will be seen briefly on Saturday to have his sutures removed and Steri-strips applied. Unfortunately, there are no vaccines available at the clinic to give him a tetanus shot. We really had such sweet people come in to the clinic today. I have included some pictures of our "favorites". The most common complaints were hypertension, acid reflux, joint pain, upper respiratory infections ("Grip") and anemia. At the end of the day we had a cute little visitor who brought us smiles galore. His name is Odia and he is as precocious and sweet as a child can be. You have to see his pictures! So, although the day was physically demanding, the positive energy of my colleagues and patients helped me stay strong and...hold that Wonder Woman pose a little longer. Wishing everyone a "Wonder"-ful day from Haiti! My body decides to give up on occasion. Sometimes at the worst times. After a mild illness this morning, I went on to see a full day of patients. I walked the 1/2 mile rocky road to Gabi's home and watched a soccer game in the street (Kettlie and Joy brought soccer balls for the kids). Afterwards, we ate dinner, and I started feeling a bit weak. Never one to let common sense ruin my day, I tried to walk back to our host Sahn-Sahn's home (instead of staying at Gabi's). I was slowly falling behind my group and my legs gave out. The other PA in my group tried to carry me up the rocky hill but I was no longer coherent. He left me with Brenda (his wife and nurse extraordinaire) and ran to get help. The next few minutes were a blur with people crowding around, speaking Kreyol, and I somehow found myself on a chair in the road. My son came running with cold water and potassium. A young stranger picked me up and put me on his back and ran up a rocky steep road to reach my host's home. I couldn't hold my head up but I could hear people breathing hard trying to keep up with him. Sahn-Sahn then carried me to my bed. When my cloudy brain cleared, Braden was holding my hand, there were four battery powered fans pointed at me and an ice pack on my neck. I was embarrassed but thankful to be feeling better. I have a genetic kidney disease but I knew it may look differently to the local town's people (sickness, voodoo, whatever imaginations would dream up). Luckily, Kettlie told some of the little kids that I "ran out of something" and I would feel better soon. The children were pleased to have the inside scoop and she is confident they will spread the word that all is well. I didn't see the faces of the people who helped me, but I know how they cared for me. 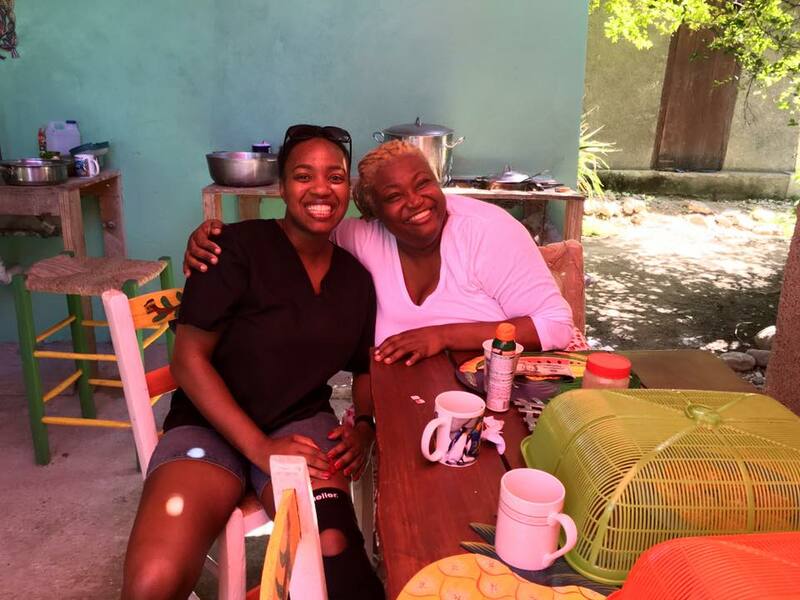 I came to Haiti with medications, a little knowledge and a heart to serve. Tonight, I needed the people of Marigot and they gave everything they had: a chair in the street, a strong back to carry me and endless kindness. I'm off to bed to get rest before tomorrow's clinic. A young woman came into the clinic today using a crutch. Her skirt, long enough to brush the floor, was hiding a filariasis infection. It is more commonly known as elephantiasis. I have seen less extreme versions of this disease in Haiti, but today was different. She had two children and had been living with the infection for years. She hadn't even come in to be evaluated for it. She had severe fatigue, chronic pain, and weight loss. I was desperate to help her but did not have the chemotherapeutic agent typically used in these cases. Thanks to modern technology, I was able to find a CDC reference to treatment with doxycycline. I couldn't believe it. We brought enough doxycycline to treat cholera cases. Thankfully we haven't seen much diarrheal illness, so we had plenty to treat her for the full four week course. I've attached a picture of this amazing woman. I can't express how it felt to be able to help her. Between antibiotics, multivitamins with iron, and Tylenol for pain she has a chance at a better future. Many of you made that possible. I had several stories from today that I wanted to share, but the election is forefront in my mind. Regardless of who our country elects to be the next President, I am thankful for over 200 years of peaceful transitions of power. I am writing to you tonight from a country that has not had this gift. I also looked at the medications and supplies being handed to patients today and knew that our country is filled with generosity, love and compassion. I am thankful for all of you and I am proud to be an American. God bless the U.S.A.! 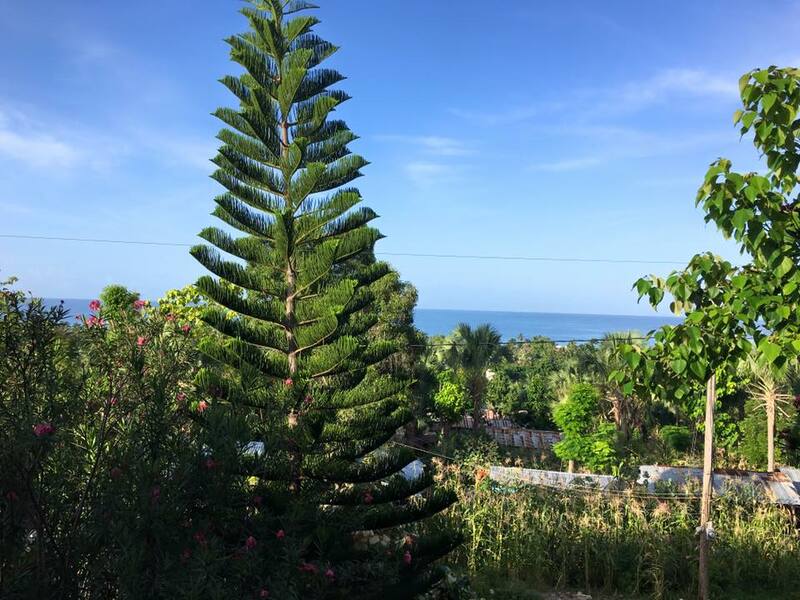 We headed for the airport at 3am (thank you daylight savings time) and after 15 hours of travel, we arrived in Marigot, Haiti. Along the way, we met Kettlie Daniels, a psychiatrist and founder of the Carribean Foundation of Development, in Miami. We are teaming up with her this week to staff her clinic in Marigot. As we boarded the plane, everything seemed to be working out as planned. We no sooner found our seats than an announcement was made to deplane due to a tire change. After 1.5 hours we were finally on our way. 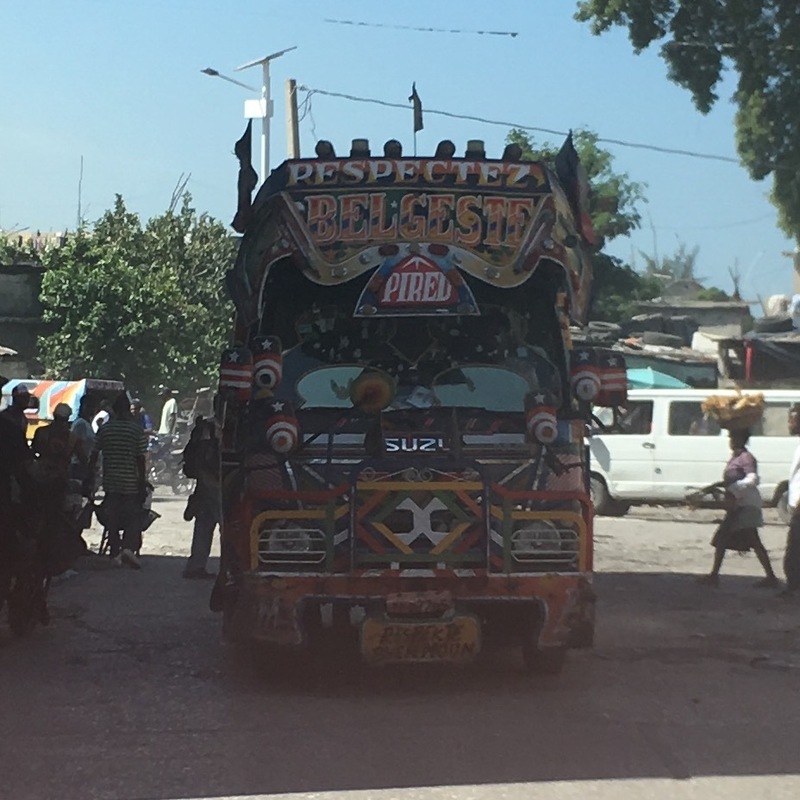 When we arrived in Port-au-Prince, the security guard we used last time helped us get our baggage through quickly and bypass the long lines. On our way out of the airport I met the two newest members of our crew, Brenda (Trauma Nurse) and Randy Walters (Emergency Medicine PA). Joy (from the June trip) also met up with us at the airport. We all piled in the van with Ronald (my car dancing buddy from the summer) at the helm. The drive took us along the back streets of the city where we purchased bags of mangoes and fresh avocado. As we drove through the streets I watched my son typing away on his phone. I initially thought he was texting his girlfriend, but after awhile I noticed he had written a small treatise on his phone. I looked at him quizzically and asked about it. 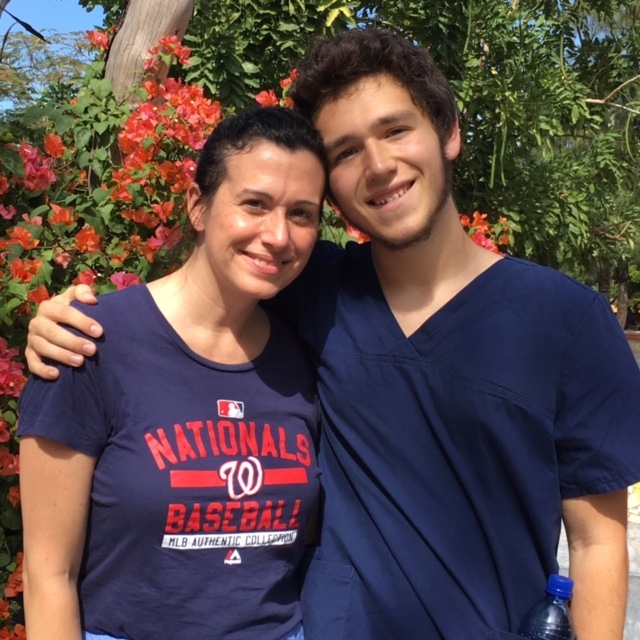 He said "I just want to capture what I'm thinking about right now..." In that moment I could see he wasn't just in Haiti to please his mother or answer a college application essay. 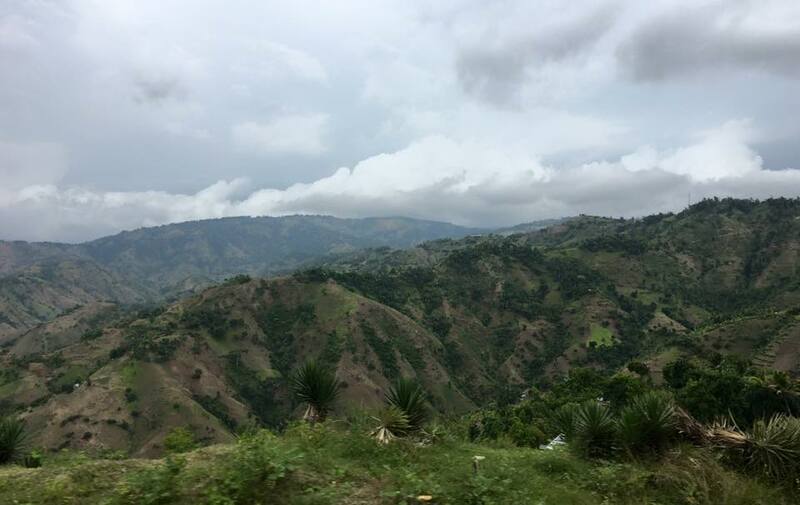 He was experiencing Haiti, through his own lens, as a young man. It finally sunk in for me that my beautiful boy was ready to own his thoughts, speak his own truth and he didn't necessarily need my opinions and/or perspective anymore. Although we were warned of possible roadblocks and robberies in the mountains, the only thing I experienced was motion sickness. We finally arrived in Marigot around 8pm and ate a filling meal at Kettlie's sister's home. We returned to Sahn-Sahn's home and fell asleep quickly. Today we will prepare the pharmacy in the morning and see patients in the afternoon. Please send lots of good vibes for the week ahead. As fate would have it, our next scheduled medical trip is to the southern coast of Haiti. I visited briefly in June to see the clinic in Marigot and met some of the people we will be working with on our trip. Earlier this month, Hurricane Matthew with the strength of a freight train, hit the southern shores and particularly the western peninsula of Haiti. The photos can’t do justice to show the tiny huts that were flattened, the lives that were ruined, the deaths that were not counted. A majority of the crops used to feed the country were in the western peninsula. The crops were leveled. The fear of mass starvation is very real. In the U.S. when we see massive homes leveled by an act of nature, we can connect with the devastation. The loss of “things” is a visible reminder here. In Haiti, it is the absence of the last bit of shelter those families have known. The tiny gardens that kept them alive have been reduced to mud and sticks. Clean water is nowhere to be found. Cholera, a bacterium that has a “starvation survival” mode, comes to life when sewage is dumped into the water. With no real sanitation, plumbing, trash removal, etc. cholera has resurfaced with a vengeance in Haiti since the hurricane. It has infected the water that is used for cooking, cleaning, drinking. Cholera can be mild in some cases with stomach upset and diarrhea, but is also known for causing severe diarrhea, which will dehydrate and kill within hours. It only takes one treatment of Doxycycline 300mg to drastically reduce the morbidity and mortality associated with cholera. Also, simple oral rehydration tablets can save a life. We are thankful for all of the generous donations of money and supplies for our upcoming trip. The Heart of Medicine has no paid staff. 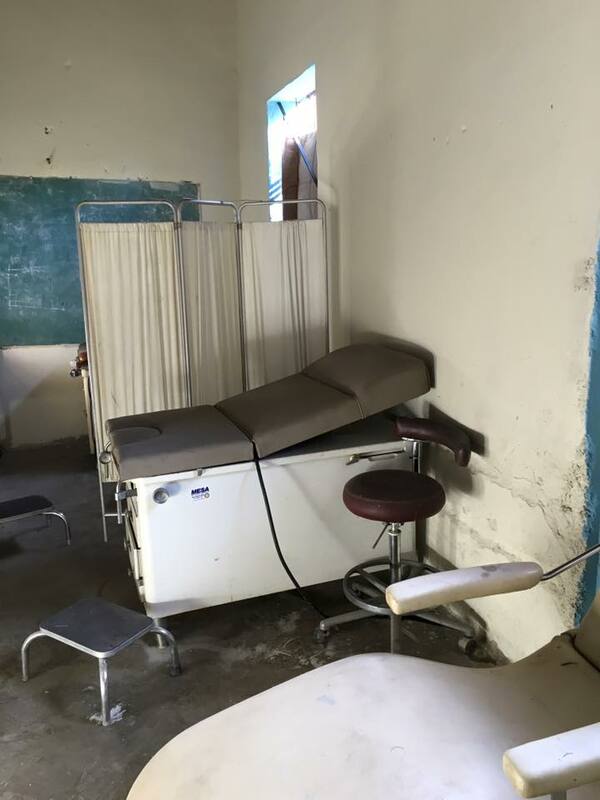 Your donations will supply the clinic in Marigot with medication, wound care supplies, equipment and oral rehydration tablets. It will also contribute to paying Haitian interpreters, drivers, and cooks which all goes back to the community to provide for their families. As I’ve said in other blogs, Haitians are extremely industrious and want only what we all want – safety, shelter, food and clean water for their families. 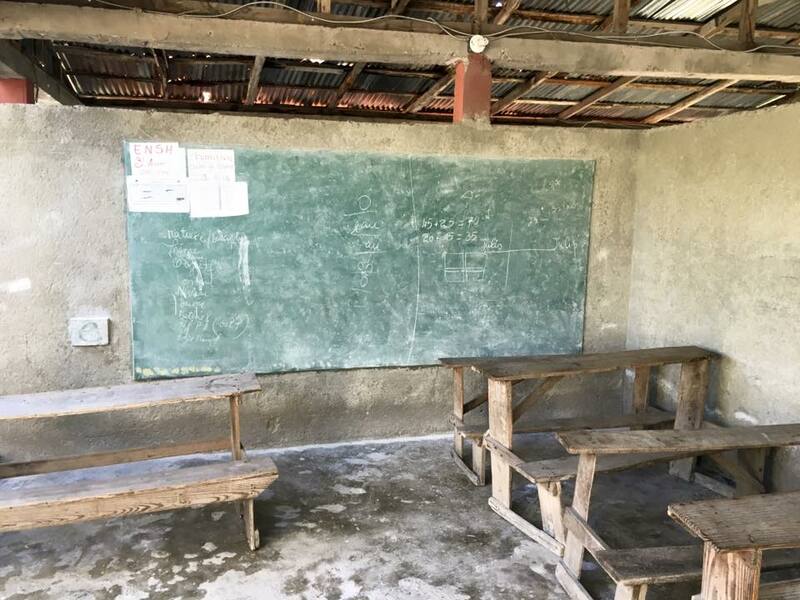 Please come back to read the daily blog for our trip so you can see the faces of the people you have helped with your generosity and read about their stories. On Sunday, I arrived in the beautiful town of Marigot, Haiti. Marigot has wild beaches and blue green water. It is stunning. I started my day at 2:50am and arrived near 6:00pm. 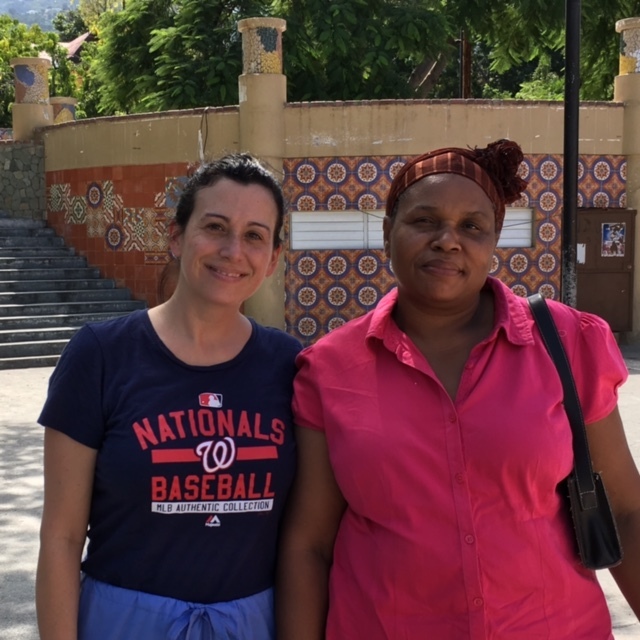 After my flight arrived into Port-Au-Prince, I was met by an airport security official who allowed me to enter the country with medications...for a small fee. Thankfully, it was only $40. He also helped me get the wheelchair in, so all-in-all, not bad. A woman approached me in the airport and surprised me by knowing who I was. She was part of the team I am staying with. Joy, was aptly named. Funny and positive, I immediately liked her. As we waited for the rest of the team to arrive from Toledo, Ohio, we had great conversation while trying to avoid the taxi drivers that swarm around you at the exit of the airport. Also while waiting, we were able to hand off the wheelchair to the ASAD clinic staff who will give it to the little boy. When the rest of the team arrived, we started the 30 kilometer - 3 hour drive across the mountains. In typical Haitian fashion, 10 of us loaded into the car with all of our luggage on top. It was a great opportunity to meet everyone. 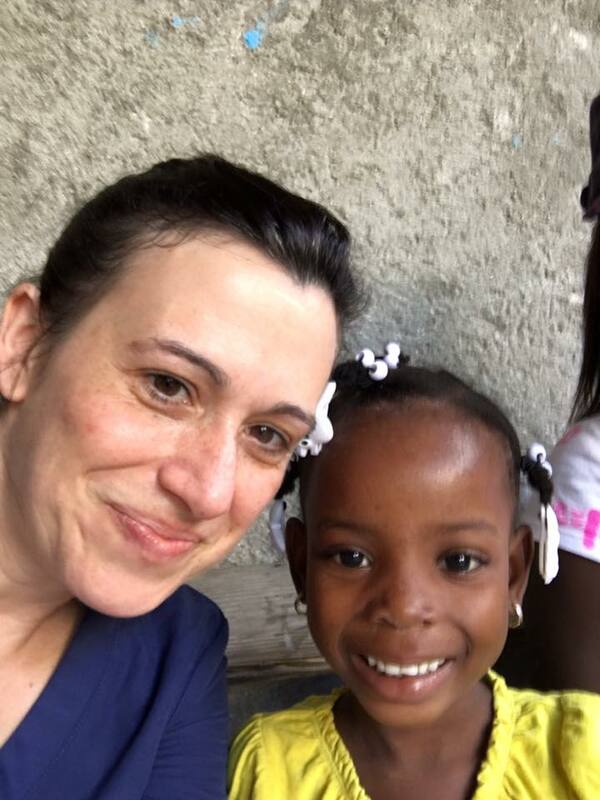 Kettlie Daniels, beautiful in body and spirit, is a Haitian-born doctor with a passion for her country. Her organization (CFOD) built a clinic, dormitory (complete with solar panels), library and soon to have computers for the local children. She wants to create jobs, improve the health for Marigot, develop a creative way to manage trash... Seriously, she is unstoppable and so great to be around. Her family (siblings, cousins, etc) live and/or vacation in Marigot, so I had the opportunity to see where some of that energy comes from. They laugh a lot and are warm and tease each other constantly. Her children, also on the trip, mirror her spirit and intelligence. That evening we went to work packing medications for the next day. We finally called it quits after 11:00pm and I collapsed into a deep sleep. The next day was easy with a nice, easy flow at the clinic. Patients came in dressed in their finest clothes. The donations from my friends and family made me smile as I eased the pain of a 80 year old woman who had been in a traffic accident. So many pain complaints. They have to carry enormous buckets of water up hills for great distances. Their knees are under constant assault. Can any of us imagine working so hard to survive? I woke up this morning so sad to be leaving but my 3+ hour drive to the airport was filled with car-dancing and Kreyòl lessons from the driver, Ronald. I boarded the plane so happy to know it will only be five months before I will return. I want to thank all of you for your support. Kettlie will continue to see patients this week and the medication will be used well. Haiti Day 7 - It was the Best of Times. It was the Worst of Times. Our last clinic day was located next to the tent complex in Carrefour. After seeing our last patients, the staff asked us to look at the camp. They opened up the windows of the clinic and right below was a sea of interconnected canvases and tents. I was allowed to take a few pictures and have sent them for you all to see. We were also invited inside the camp, but no pictures were taken to respect the families living there. Approximately 70% of Haitians are unemployed. There is very little industry and the graduation rate is around 20%. Haitians work hard to survive, but paid work is very hard to find. We were then taken to Petionville to see Place Boyer. It was a beautiful park filled with people, art and brightly colored Bougainvillea. There was a small, but peaceful, demonstration going on at the time. We took more pictures and made our way home. 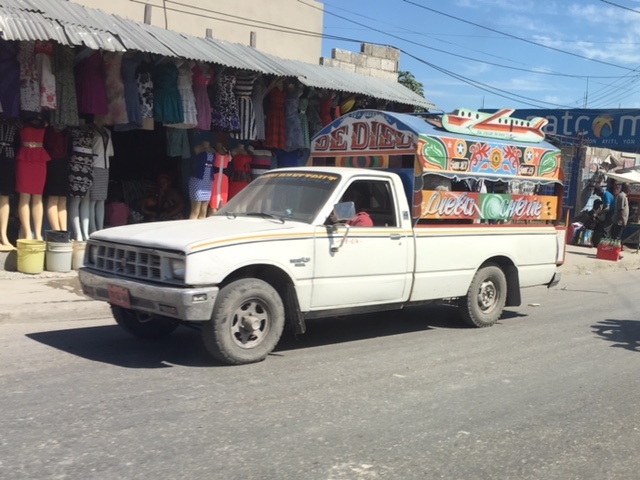 As we drove, I made mental notes of the things that endear Haiti to me and took pictures of tap taps (brightly colored trucks used for public transportation). I daydreamed and let myself relax. After returning home, I fell into a deep sleep but awoke to the nightmare of Paris. Braden received a text from a friend letting him know what had happened. I could only think of my dear friends there and was so thankful for the FB "I'm Safe" feature. I think it is natural to ask "why". There will always be extremists in the world and we can argue why they exist, but what fundamentally changed in their human nature to think the killing of innocents was acceptable? I'm at a loss for words. My friends and their beautiful country were attacked today. My heart and prayers go out to them.